Come to discover an original trail between the Basilica and the Stade de France, from the city's beginnings to the 21st century. Stippled by twenty steel markers, this walking-tour invite you to pause along the trail at each important step in the city's development. The markers call up those places, buildings, events, activities and people instrumental in shaping Saint-Denis. One side of the marker recounts and explains economic and political change, highlights crafts and artistic expression and provides insights into everyday life. The other side describes a significant stage in the city's growth and developement. Additional information is provided by plans and drawings. 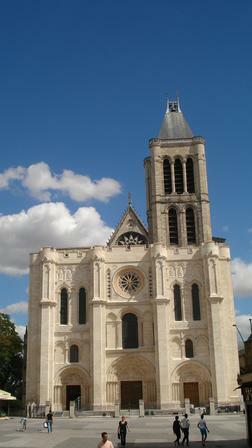 The Cathedral Basilica of Saint-Denis is the first monumental masterpiece of Gothic art in the twelfth century. Built on the tomb of St. Denis, martyred by the Romans in the third century, the Basilica of Saint-Denis is the first monumental testimony of Gothic art. Then lit the royal abbey artistic, political and spiritual history of the Middle Ages. Became one of the main necropolis of the Merovingian and Carolingian sovereigns aristocrats, it definitely ties its fate to that of the kingdom under the Capetians becoming the burial place of the kings of France. It houses more than 70 elaborately carved tombs including those of Clovis, Dagobert, Bertrand du Guesclin, Francis, Catherine de Medicis, Louis XVI, Marie-Antoinette. Since September 2012 held a major restoration. 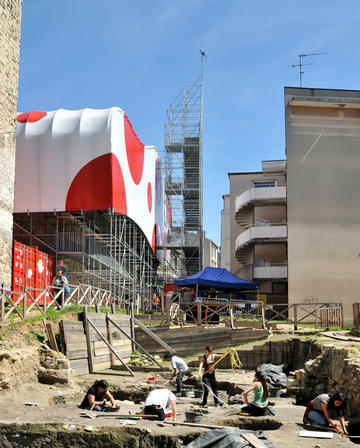 Spread over three years, this work aims to rehabilitate the west facade and three portals. Another goal: to find the consistency and quality of the monument ornaments as they were designed in the 19th century, and thus find the desired by Abbot Suger magnificence. Please note: the basilica remains accessible during construction. -From April 1 to September 30: 10am-18h15, Sunday: 12am-18h15. -From 1 October to 31 March: 10am-17h15, Sunday: 12am-17.15. Guided tours in French and 15h to 11h, Sundays at 12:30 ET 15h (times subject to change). Audioguide rental (€ 4.50 a, 6 € for two). The monument is closed to visitors on 1 January, 1 May and 25 December, and in the case of religious services. 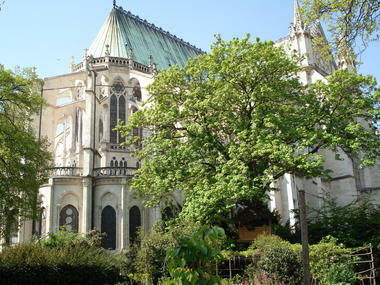 The Maison d'Education de la Légion d'honneur (The home education of the Legion of Honor) is located in the former royal abbey of Saint-Denis. Since the Middle Ages, a religious community moved to the tomb of Saint Denis to maintain and accommodate the pilgrims. With influential abbots and protection of the kings of France, the renowned spiritual Abbey beyond the borders of the kingdom. The whole abbey was rebuilt several times, it takes the form we know today in the 18th century. It is in 1791, when the monastic orders were abolished by the Convention, the buildings will be abandoned and even threatened a time of destruction. 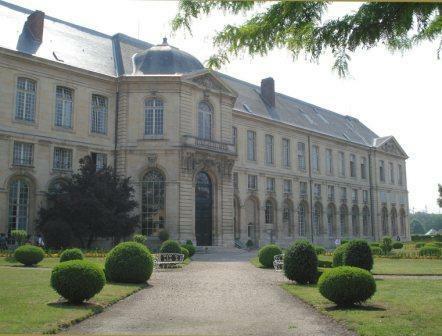 Napoleon visiting Saint-Denis, decided to allocate to the second house education for girls, the first being Ecouen. This continues to function well, welcoming each year about 500 students in the second degree. The building is a witness of buildings ranging from the fifteenth to the twentieth century. The scaffolding should allow the public to enter into this "skeleton house" in order to understand the techniques and develop the skills of the building trades. 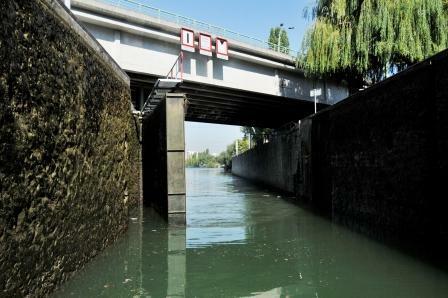 It is intended to present the city of Saint-Denis in terms of archeology, architecture and urbanism. 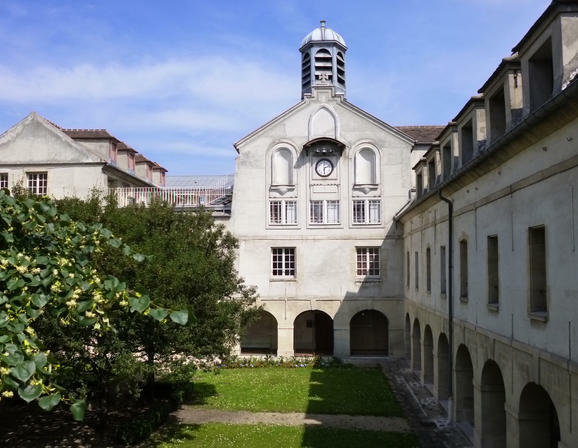 The Art and History Museum is housed since 1981 in the former Carmelite convent where Louise-de-France, the last daughter of Louis XV stayed. His arrival in 1770 helped build the neoclassical chapel transformed after the French Revolution in justice of peace. The museum rooms devoted to archeology, a collection of objects from the former Hotel Dieu, a fund of the poet Paul Eluard, born in Saint-Denis, and a permanent exhibition on the seat and the Paris Commune (1870-1871). The museum is closed on Tuesdays and holidays. Admission is free the first Sunday of the month. 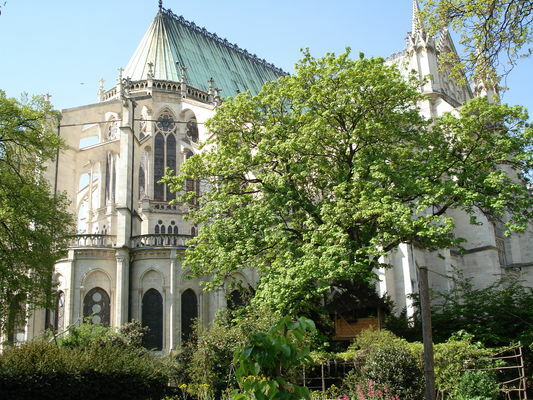 It is the former park of the abbey of Saint-Denis, became the Legion of Honor. Part of it was given to the city in the 1970s, to be open to residents. 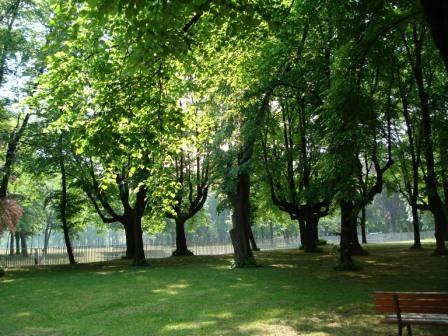 A fitness trail, children's playground make it a nice place in the heart of the city. It annually hosts the festival of tulips in April. 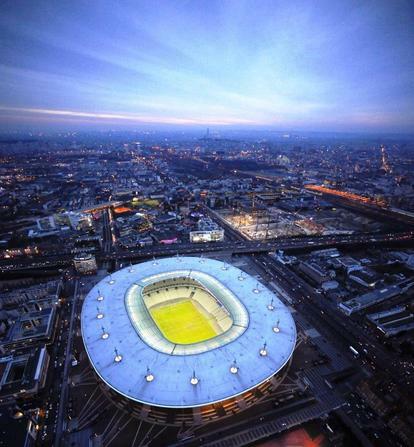 Relive the excitement of the biggest sporting events, shows and concerts that have built the legend of the Stade de France. To complete the tour, do not miss the permanent exhibition and relive the great moments of life stage: its construction, its events, its daily via the original artwork, photos, and number of items autographed by biggest stars! Finally, before you leave, go through STADEFRANCE Boulevard, the Walk of Fame, which commemorates the passage of the stars of stars reinforcement on the court. A unique tour not to be missed! Departures in English at 10:30 & 14:30. Low season (from September 1 to March 31): starts at 11am, 13h, 15h, 17h. Closed on Mondays. The stadium is likely to alter his days and hours during demonstrations. Learn about the timing of the website. There is no review about Parcours Historique De Saint Denis A Saint-Denis, be the first to leave one !